Audacious Inquiry (Ai) is honored to have two employees recognized on the FedHealthIT100 list in the Winter 2017 Issue of FedHealthIT Magazine—Julie Boughn and Jason McNamara. The publication provides industry insights and supportive resources for about 15,000 health IT leaders and executives that serve the federal health sector. The individuals recognized by FedHealthIT were nominated and chosen by their peers. Many of the leaders on the FedHealthIT100 list were chosen based on the impact their decisions have on the market. Other considerations included whether the individual demonstrated a willingness to challenge conventional wisdom, desire to go above and beyond, and an eagerness to spark innovation in the Federal Health Information Technology market. 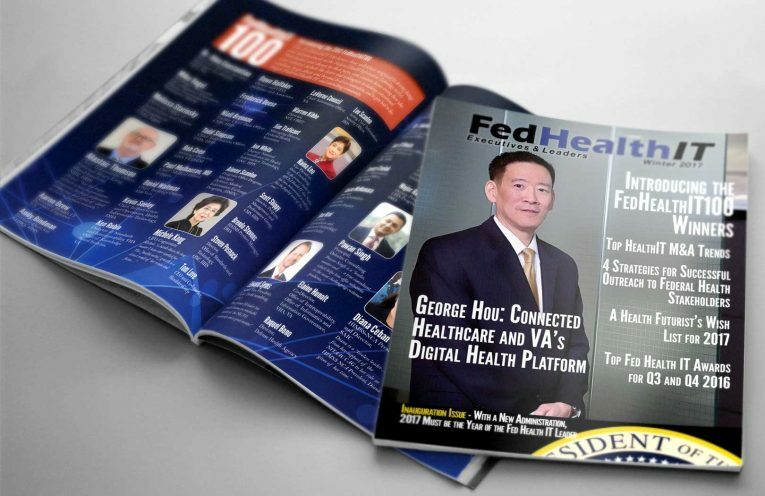 This issue of the magazine focused on the new administration and as stated by the Editor-In-Chief David Blackburn after reviewing all the FedHealthIT100 nominations, “It is clear that we have leaders who possess the talent, expertise, drive, capabilities, and compassion required to meet emerging needs”. Both Boughn and McNamara have expressed how happy they were to join their peers in the FedHealthIT100 and they look forward to continuing their support of federal Health IT initiatives. The two joined Ai in late 2016 and have since played a strong role in Ai’s business development. Ai supports Federal clients in both a policy and technical capacity, including the Office of National Coordinator for Health IT (ONC) and the Center for Medicaid Services (CMS).